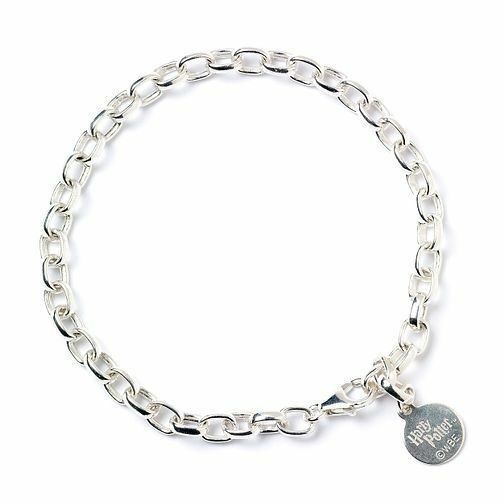 Adorn your collection of intricate Harry Potter charms on to this sterling silver branded charm bracelet. Harry Potter Sterling Silver Branded Charm Bracelet is rated 4.9 out of 5 by 7. Rated 5 out of 5 by Anonymous from Simple but nice I was worried it would be tacky with it being a Harry Potter bracelet but it's simple design makes it quite classy for its purpose. Rated 5 out of 5 by Anonymous from Great gift for fans Bought this as a gift for my mother who is a huge Harry Potter fan. Quality is brilliant and the item looks great. An absolute must-have for fans and with so many charms I won't be stuck for gift ideas for a good while.